The staff at Arcadeheroes.com have confirmed a rumor that first came to light earlier in the month: An arcade edition of Sonic & Sega All-Stars Racing exists. In fact, in a few locations, it’s playable. 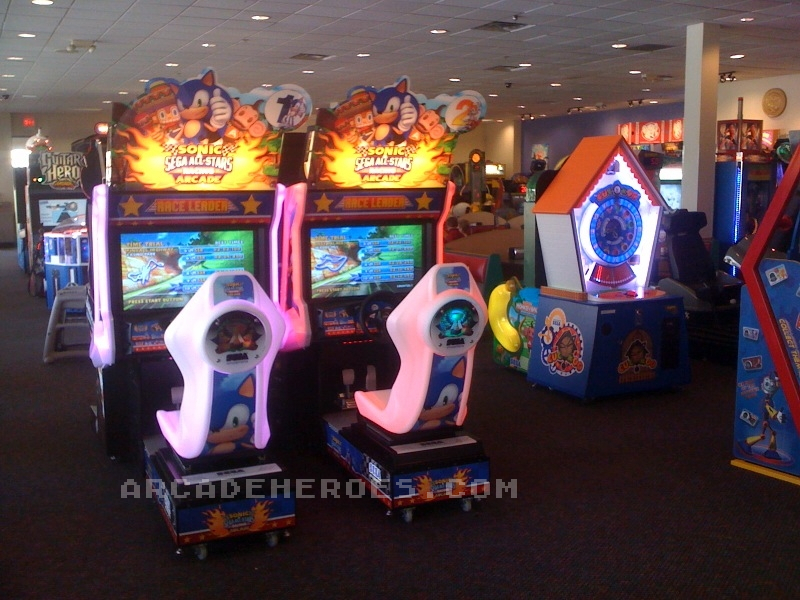 What you see above are 2 linked cabinets of Sonic & Sega All-Stars Racing Arcade at a Skokie, Illinois Chuck E Cheese’s restaurant. It’s believed to be there temporarily as part of a location test. Arcade Heroes received this photo from a reader and learned from him the game runs on Sega’s Ringwide system, which includes a 2 GHz Intel Celeron processor and an AMD based GPU. That outputs to what’s believe to be a 32 inch LCD screen. Sumo Digital is listed as developer. The game itself has three modes: Quick Race, a single race either as one player or multiplayer linked, a Time Trial mode with staff ghosts included, and Grand Prix, a single player championship mode that spans three courses. Power-ups are included, and the drifting system is intact. It’s not immediately clear if all the ASR courses from the console edition made it here. More details should be available soon. If you spot the kiosk at your local arcade, we’d love to hear from you. Please send us a news tip with anything we don’t know.